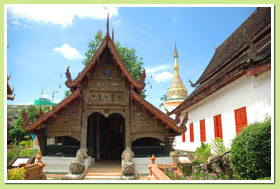 A temple in the heart of Chiang Mai associated with many historic miracles. 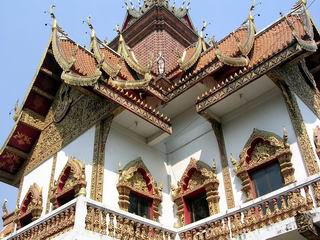 Situated on Tha Pae Road, one of the main streets in the centre of Chiang Mai, this temple was founded by King Muan Keow in 1497. Most of the buildings are, however, very recent. 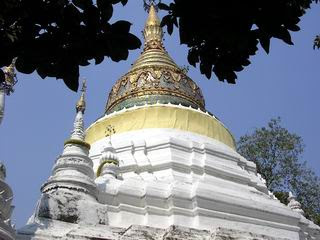 The main hall was only completed in 1996 after ten years of work - it can, perhaps, be called an interesting example of modern Buddhist construction and decoration. 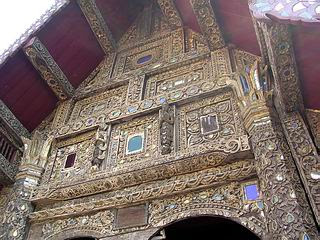 Other buildings in Burmese and Lanna style fill the compound - the large viharn may date back two hundred years.